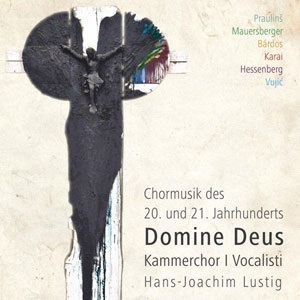 Kammerchor I Vocalisti, in their newest CD, Domine Deus (Lord God), presents an incredible musical portrait of the Lord Jesus Christ. 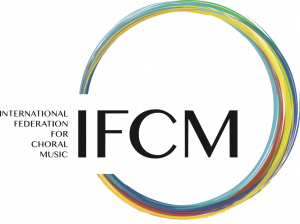 In doing so, they take primarily ancient biblical texts and bring them to life through present-day a cappella compositions – music with which the choral artists have studied intensely and for which they have developed a great fondness. Additionally, the singers have received intimate counsel from each composer (all of whom are living). Let their music take you to a contemplative, quiet, reflective place. But while doing so, pay attention to three musical feats that make Kammerchor I Vocalisti stand out among the top choirs in the world: their sense of phrasing, their vowel unity, and their devotion to and conveyance of musical text. Every piece on this recording is sung with a compelling musical arch – the sense that every phrase, every line, every note is moving forward. Whether the credit for this should be given to the composer, conductor, or singers (or all) is arguable; nonetheless it creates this heightened sense of drama in each piece, particularly with this delicate religious text. This is first noticeable in the Gloria (Track 2). After the male and female voices ungulate back and forth playfully, they come together, beginning with “Laudamus te, benedicimus te, adoramus te, glorificamus te…” Through their use of shadow vowels, each phrase has an arch, each line has an arch, and this all makes for a really exciting interpretation of the Gloria. This disc is filled with various musical climaxes, which help to substantially heighten the drama of each piece. Having this sense of detail – on a micro and macro level – is critical, particularly when an ensemble performs a religious text out of liturgical context. Secondly – and for musicians who feel strongly otherwise, please feel free to disagree – I find that the most important aspect of keeping a choir in tune is their ability to modify their vowels so everyone is singing the same thing at the same time. Kammerchor I Vocalisti accomplishes this extraordinarily well. Many conductors argue that the easiest way to tune a choir is to modify their vowels so they are closed so much that there is little margin for error. In fact, Kammerchor I Vocalisti sings open and closed vowels just fine because they are committed to the same sound. Their rich tone, and their near pitch-perfection is achieved largely because of this. 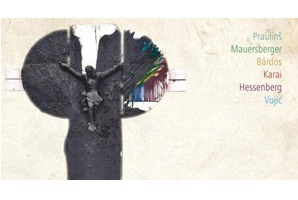 Lastly, Kammerchor I Vocalisti is devoted to the conveyance of musical text. It sounds so simple: know what you are singing. However, too often choirs (particularly amateur choirs) sing music phonetically with little attention paid to the translation of the text. In their CD liner notes, Hans-Joachim Lustig remarks that the choir has undergone intense study of the music and of its text. Their musical scholarship is clearly evident, and pays off in their musicality. Congratulations on a wonderful CD. Do you have a CD that you would like reviewed in the journal? Please contact me at jonathan.ryan.slawson@gmail.com.